"As an adult he learned that his mother was still alive and in Galway’s Magdalene laundry"
Currently running on Wednesday nights on TG4 is a riveting new documentary series, Finné (Witness ), made by Galway’s Magamedia, which shows the human side of Irish stories that have made the headlines over the past 50 years. 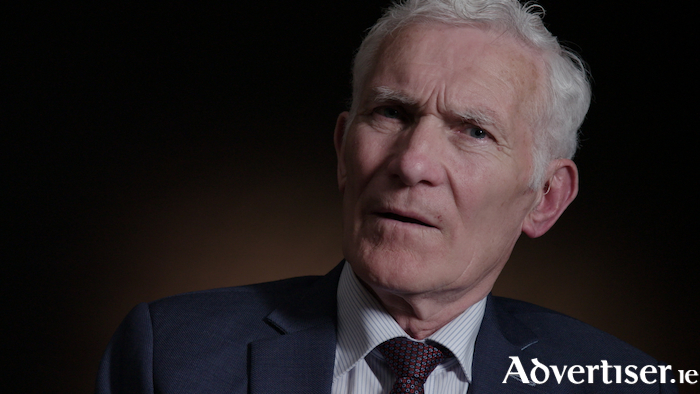 Presented by RTE’s courts correspondent, Orla O’Donnell, Finné uses searing first-person testimonies and next week’s episode, to be broadcast on Wednesday September 19 at 9.30pm, tells the profoundly moving story of Peter Mulryan, who recounts his upbringing in the Tuam mother and baby home and his subsequent quest to find his mother which led him to Galway’s Magdalene laundry. Peter candidly describes the harsh, unloving milieu of the mother and baby home. He was then fostered out to a farmer when he was just four years old, and was often beaten. As an adult he learned that his mother was still alive and in Galway’s Magdalene laundry. What gives his story much of its power is that, despite the cruelty and pain he endured as a child, he grew up to be a person of great warmth and lovingness. Page generated in 0.1969 seconds.